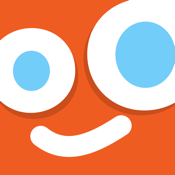 Tweekaboo: Share, Journal & Print your pregnancy, baby & family moments - privately. Tweekaboo makes it easy to timeline your pregnancy, baby and family moments, share them privately with family. Import your favorite moments from Facebook, Instagram and Dropbox. Print beautiful scrapbooks. Create a priceless timeline that you and your child will treasure forever. - stay organized with tags and albums. - import posts from Facebook including all those comments! - import your favorite moments from Instagram and Dropbox. Try it for free now! Exactly what I was looking for! - As a busy mom, I know I won't have the time to make yearly books of my kids. With this app, I'm able to post photos throughout the year and just press print when I'm ready for a book! With everyone's comments! It's a great way to share photos with my family and friends! So easy - I love this app! It is so easy to capture all the important moments in my children's lives. No need to print out photos and put them in albums (which I rarely had time to do) With tweekaboo I can be sure little memories are saved for the kids to look at in years to come. I love it! Love this! - Love this! This app makes it so easy to document the special moments in my daughter's life! I love that we can finally compile all into a printable book. Thank you Tweekaboo! - I am so happy I found this app! I love that I can privately share pictures without posting all over Facebook. My favorite feature is that I can print books with everyone's comments! I will treasure these books forever. Thank you Tweekaboo for making it so easy to document my kids' lives!